Postback » Hardware del vídeo y emulación avanzada » Novedades importantes en emulación. Re: Novedades importantes en emulación. Por supuesto, vienen con su propio emulador para que cualquiera las pueda jugar, pero, obviamente, es lo que menos importa. Los "romsets" vienen nombrados y empaquetados según la norma MAME y no son difíciles de encontrar. 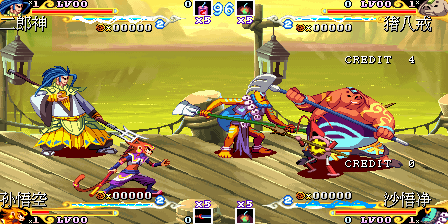 Y recordad que cada "set" incluye la versión original nipona del juego y las adaptaciones foráneas, así como las versiones MVS y AES. 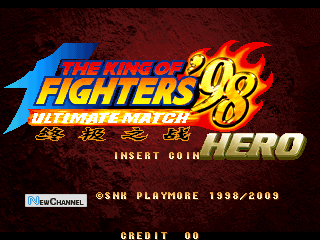 No es, ni de lejos, la primera vez que se pueden adquirir legalmente las ROM aptas para emuladores externos, pero sí la primera vez que se da tanto por tan poco -- incluso vienen con las versiones WIN de KOF 98 UM y KOF 2002 UM. 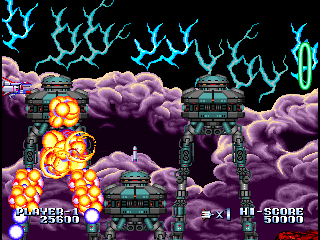 Choutetsu Brikinger (cuyas ROM procedían de la edición para Wii, ya que nunca fue comercializado en su formato original), Blazing Star, Real Bout 2, añadidos al paquete. Vía Foro de Neo GAF. fwiw the c-chip has 2 parts as there are multiple parts inside the package, a UPD78C11 with internal rom, an ASIC, and an EPROM. The 78C11 rom was dumped visually by decapping, and the internal code heavily analysed (that's how we had some clues to attempt other failed exploits) this is likely the same between games. The EPROM, containing game specific code has never been fully dumped, we have half a dump from Operation Wolf done by trying to wire up the die directly, but complications meant we were never able to obtain a full dump. uses it for a lot of game critical things, recently the simulation was improved (after 15+ years of being entirely incorrect) based on a prototype version that showed up. There could still be secrets the c-chip holds tho, so a real dump would help. Simulation was written by somebody who had extensively studied the games (both uses different c-chips with different internal data) should in theory be mostly correct, but there are some doubts over how some of the random number generation works, which, if you're serious about the game will actually matter, so a real dump will help. Simulation has never been 100%, restart points are incorrect, sometimes the game will crash. Some of the alt MAME builds have different hacks to work around this, but in all honesty none are correct, emulation definitely won't be correct without a real dump. C-Chip just seems to supply a chunk of 68k code, very lazy, while the actual 68k code has never been verified against a PCB it's function is very simple, so while a real dump would be good for the sake of completeness, the emulation probably isn't 'incorrect' right now with the simulation code. C-chip seems to manage some game counters / timers that aren't accurately emulated, some commands are basically just ignored right now. Exactly how this impacts the gameplay is unknown, but it's almost guaranteed that current simulation isn't accurate and game isn't playing exactly right. C-chip could easily have a blank internal EPROM, game code only ever checks that the c-chip exists via the initial startup check that is handled entirely by the MCU part of the chip, it doesn't even matter if the chip crashes after that, the game never checks anything beyond startup, very, very lazy on the part of Taito. It will be interesting to see if anything exists in the EPROM, maybe code they never used. Alternatively they might have just recycled old c-chips on this game, not bothering to reprogram them because the game never triggers any commands. overall, if we can work how to read the roms from some of these games, which are becoming increasingly uncommon, it will greatly benefit their emulation. even in cases where the emulation is probably ok with the current simulation code we might be able to find some interesting secrets in the undumped part of the rom that could tell us more about the development of the games and their protection. I'm confident I can get detailed timing measurements [of 1st generation Cave hardware] but as you say, actually implementing the timing in MAME may prove challenging. Timing aside, I would otherwise be able to confirm whether or not our video emulation is pixel-exact under whatever cases I can test. Piden donaciones/préstamos. Más de 10 años han pasado ya desde que yo mismo propuse exactamente esto en cierto foro. Nunca es tarde si la dicha llega, supongo. Tristemente, los juegos de la casa para este sistema suelen estar implementados para uso de tarjetas de personalización. 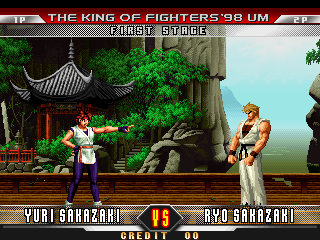 Its worth noting that Oriental Legend 2 actually does indeed have an English setting that can be accessed via emulation which makes the entire game full English, but the English cart was never actually released. A very nice surprise that no one knew about before the Chinese hack emulator came out. GroovyMAME - experimental "frame slice" feature - current frame response finally possible! It's for the drivers that natively made beam chasing where this method makes a real difference (e.g. Amiga). * Inverted Oki status for Cycle Warriors and Big Fight – fixes “we got ’em” sample playback in the former. * Implemented per-tile high priority and opacity enable bits for Cycle Warriors and Big Fight – fixes several glitches. * Fixed color banks for Cycle Warriors and Big Fight – fixes fade in/out effects and CRT test colors. * Applied page wraparound for backgrounds – fixes various glitches in Big Fight and Cycle Warriors. Big Run también parece que estaría bastante perfeccionado desde hoy. Ya se están presentando en detalle los resultados de PlayStation Classic. Ya se esperaba un producto decepcionante, pero han "superado" las expectativas. Mezcla de juegos PAL y NTSC, con los juegos PAL funcionando a 50Hz, salida fijada a 720p y 60Hz sin opción alguna y problemas de rendimiento del hardware.